The U.S. isn't the only country in the world where Apple and Samsung meet in court. On Tuesday, a Dutch appeals court upheld a court-ordered sales ban against some older Samsung models. The injunction prevents the Samsung Galaxy S II and Samsung Galaxy Ace from being sold in the region. While that doesn't sound like it would have that much of an effect on Samsung these days, the ban could be expanded to include other Samsung devices found to infringe on a particular European patent held by Apple. This past Monday, we passed along a report out of Korea that said that Apple and Samsung were talking settlement. What made a deal between the two seem possible was the recent settlement between Apple and Google's Motorola Mobility that led both sides to dismiss all open litigation between the two sides. For a moment, there was some hope that there finally could be some peace between the two rivals. But lawyers for both Samsung and Apple continued to snipe at each other. Samsung's lead attorney John Quinn called Apple a "jihadist" and called the the trial "Apple's Vietnam." 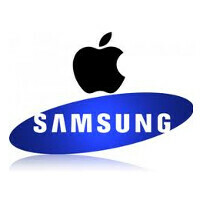 Apple's law firm, WilmerHale, accused Samsung of trying to license Apple patents in order to clone Apple products. Unless both sides are threatened with a permanent injunction against the sale of current devices, we might not see any impetus for either side to settle. You can check out Apple and Samsung's response to the court's request that both try Alternate Dispute Resolution (ADR), in the filing below. Oh, darn. Samsung can't sell 2 of their 3-year-old devices in a country of less than 17 million people. This is really going to cripple their business. Its not about making samsung suffer by loosing sales, they know very well these are old handsets that almost no one buys anymore. Its about telling that if you copy my patents without my permission i will sue you no matter how old or pointless it is. Simple as that. Yeah cause I buy my phones based on slide to unlock. You ifart lovers will bend over and take what apple gives you with a grin on your faces. Go spit your rubbish elsewhere. By your logic isn't the iPhone a blatant copy of the LG Prada? There are only so many ways you can design a touch screen phone. Why? It's because 90% of the phone is covered by the screen. By the way, Apple didn't invent the candy bar form factor either. What other type of form factor would you build it with? A triangular shaped phone with a round touch screen? You might as well say that every television set is a ripoff of one another. this is useless...as far as i know GS2 & Ace are no longer in sale for a while now. I read about it too, good to know where my tax money is going to (I'm Dutch). Thank god they didn't go with LG or Sony, having a manufacturer thats always first in android to roll out updates(beside the nexus line and amazing Moto support) is great and especially for police which want their phones safe and fast. Why not? What is so important for the police to have the newest updates as soon as possible? Why would they even need phones? They have their walkie talkies and computers in the car and motorcycle. But in the case they really need a smartphone smartphone they could better have a well build phone around a half year or a year old phone where the problems are all gone. S5 has problems with the water resistance, lag and camera problems. Better have a g2/z1 for 300-450 euro instead of a s5 for 700 euro. Yet Apple is a patent troll only supported by US court system and president Obama. I was thinking about that when reading this.. clearly it's not only the US. Galaxy phones are crap anyway! Indeed they are... For ones who doesn't live in the planet earth.